Davido, Burna Boy, Sauti Sol, Seyi Shay, Reekado Banks, and Simi have been announced as the headline acts of the 2017 edition of Gidi Festival. The announcement took place on Thursday during a press conference at Utopia, Victoria Island, Lagos. For this year’s edition, the organisers have added a variety of new and exciting activities to the event. Some of the activities include a fun zone, volleyball and football tournaments involving celebrities and fans. The festival will also serve as an avenue to support rising stars and the discovery of new talent. 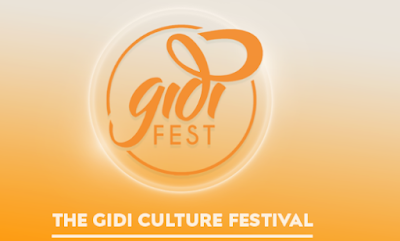 Gidi Festival will take place on April 15 at Eko Atlantic. The festival is supported by Eko Atlantic, Eko Hotel, Kenya Airways, Pepsi, LASAA, Red Bull, Mikano, Hyperia, Filmhouse, Trek Buy Fly, and House of Lunettes.